The BRICS group of emerging economies, consisting of Brazil, Russia, India, China, and South Africa are poised to contribute $100 billion to a fighting fund with the aim of stabilizing currency markets in the event that the US begins tapering its monetary stimulus package, as is expected this month. Most of this money will come from China, which has the biggest foreign exchange reserves in the world. However, when the fund was first mooted, a figure of $240 million was suggested, so the fund will have less firepower than was originally thought necessary. 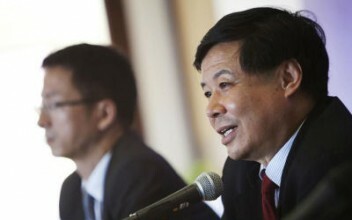 Officials also warned that the fund would not be functional for some time yet. The reason behind the creation of the fund is that the BRICS countries have been booming economically in recent years, and this is in a large part due to the availability of cheap dollars. The dollar has been creeping up in value since Fed Chairman Ben Bernanke announced the intention to ‘taper’ their bond-buying scheme later this year. The situation has become more urgent recently, with encouraging US economic data suggesting that the time may be right for the Fed to put the brakes on their monetary stimulus package. With both Zhu and Russian Deputy Finance Minister Sergei Storchak emphasising that several details need to be worked out, this indicates that the reserve facility may not be on-line in time if the Fed starts tapering this month. 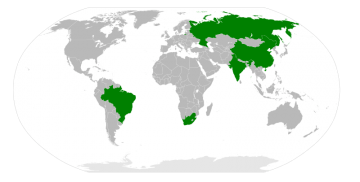 A joint BRICS development bank with capital of almost $50 billion is also in the works, although it has been held up by disagreements over who should fund it and where it should be located. “The total is known ($100 billion), but I don’t even know how to come to that,” Storchak said. If the US Federal Reserve does go ahead with tapering this month, it will have huge implications for the global financial system, with the US dollar accounting for 62% of all global currency reserves.